SOME of the best-known figures in Helensburgh history shared something else apart from living locally. The Rev. John Baird, father of John Logie Baird, John Honeyman, the architect, Dr Fordyce Messer of ‘disappearing coachman’ fame, and the Anderson family of Helensburgh benefactors all belonged to the same organisation. They were all associated with the local company of Artillery Volunteers, later known as the Garrison Artillery. A nationwide system of volunteer infantry and artillery soldiers was created in 1859 for several reasons, including concerns over military shortcomings exposed by the Crimean War, and alarm about the perceived growth of French political ambitions and military strength. The development was met with enthusiasm up and down the country, with Helensburgh and district being no exception. The Volunteers were split into two wings — artillery and rifle/infantry. Both had a distinguished pedigree and history. In Helensburgh, a company was formed as part of the linked Renfrewshire and Dumbartonshire Artillery Volunteers, with overall headquarters in Greenock and Port Glasgow. The evident commitment of the company soon caught the attention of the ‘Glasgow Herald’, which in 1860 commented upon their noteworthy initiative in preparing the groundworks of their planned battery, east of the burgh pier. The paper reported: “This corps, being in daily expectation of receiving their heavy guns, have resolved to construct the battery for their reception, and have, with great spirit, been engaged at the work every alternate evening during the past week, under the direction of their first lieutenant, and their drill sergeant, Bombardier Aird, R.A.
“The battery, which is situated about half a mile east from Helensburgh, is considerably above the ordinary high-water mark, but it was considered prudent to form a strong sea wall along the front, which has now been completed. “A great part of the parapet, which is to be of turf, has also been formed, and the ground is being cleared for the platforms. The anonymous author of ‘The Story of Helensburgh’, published in 1894 and thought to have been written by town clerk George Maclachlan, also commented on their enthusiasm. “Helensburgh was the first place in Dumbartonshire where the Volunteer Movement was warmly taken up,” he wrote. “In September 1859, a preliminary meeting was held in the Town Hall. This was shortly followed by the enrolment of a considerable number of young men. “The Artillery Company was set up and officered by Captain James Galbraith, 1stLieutenant was John Honeyman, and 2ndLieutenant, William Reid. Not everyone was so enamoured by their activities. By 1864, the Town Council was receiving complaints from people about the noise being made by the battery guns. The Volunteer Movement was more democratic than the Regular Army at the time. A volunteer could progress through the ranks from private to officer, something that would have been virtually impossible in the Army — except when the attrition rate of the First World War forced a more flexible approach. A good example of someone who progressed all the way from private to captain was Donald Murray. A founder-member of the Helensburgh Artillery Company, he enlisted as a private. By 1866, he had reached the rank of lieutenant, and was evidently a popular figure, because in that year the men presented him with an oil painting showing him in full uniform. By 1870, he had been promoted to captain. He also distinguished himself in public life. 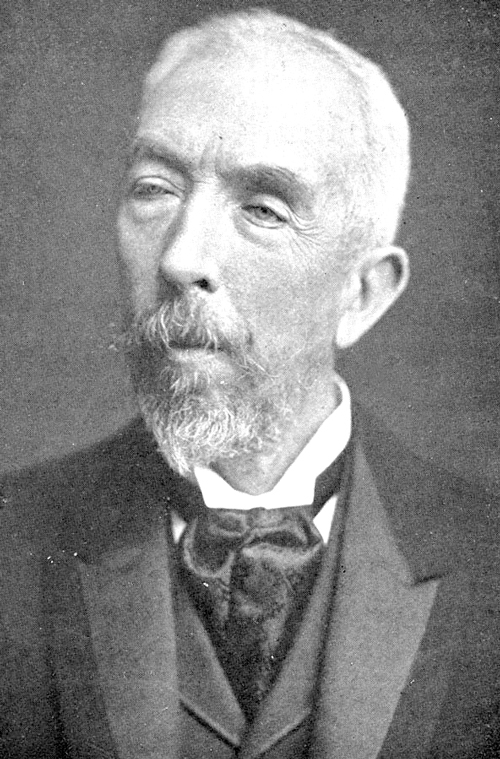 As a town councillor, he was acknowledged at a special banquet at the Queen's Hotel in 1868 for his key role in the laying-on of a public water supply to the town, a utility proposed many years earlier by first Provost Henry Bell. Lt John Honeyman also earned recognition away from the Volunteers as he was the famous-architect-to-be, with Helensburgh boasting ample evidence of his prowess in that field. Although based in Glasgow, Honeyman, born in 1831, would however have known the area well. His father, also John, was a prosperous Glasgow corn merchant, and at one stage had purchased Belmore House on the Gareloch as a weekend retreat. It was there that John learned to sail, a life-long interest. When Honeyman joined the Artillery, he must have displayed early promise, given his swift appointment as lieutenant. Around the same time, a James Honeyman was likewise appointed lieutenant in the corresponding Helensburgh ‘A’ Company of Rifles, almost certainly John's brother. By 1867, John Honeyman was captain, in command of the Company, but he stood down a couple of years later, probably because of the increasing pressure of architectural work. One of his later commissions was the design of Geilston Hall at Cardross, and it is thought that his association with the Volunteers was what led to his involvement in that project. 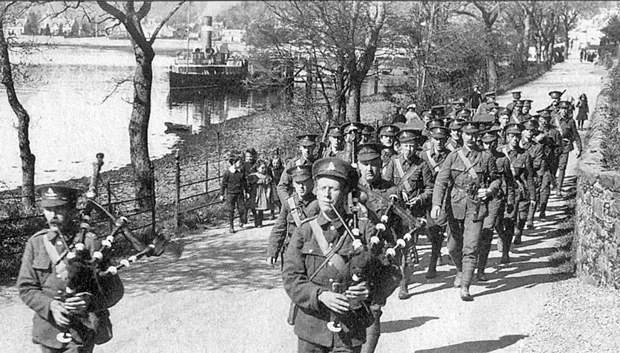 The Cardross Volunteer Rifles were just as enthusiastic as their Helensburgh counterparts. The driving force behind their formation in 1859 was Major Geils of Geilston, and several years later, he put up funds for the construction of a wooden drill hall. This served its purpose for many years, but eventually burned down in 1889, and it was the firm of Honeyman and Keppie that received the commission to rebuild, resulting in the Geilston Hall that still stands today. 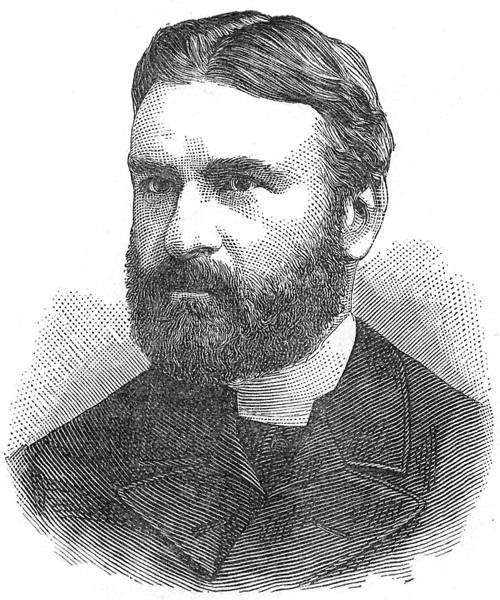 The Rev John Baird, father of the TV inventor, was for many years chaplain to the Helensburgh Company of the Artillery Volunteers. Born in Glasgow in 1842, Mr Baird was ordained minister of Helensburgh West Church in 1868, an iron structure in William Street. By the following year, he had been appointed chaplain to the Artillery Volunteers, a role he continued to play until about 1907. The Company attended services at his church on a regular basis, continuing to do so after the move to a stone-built church at John Street in 1878. The name of Dr Thomas John Fordyce Messer also features in the story of the Company. Born in 1841 and a native of Midlothian, Dr Messer came to Helensburgh around 1871, when he took over the practice formerly run by Dr Skene. He was a very popular doctor, gaining a reputation as one with a particular ability for inspiring hope in his patients. This popularity extended to the Volunteers as well, in which he played a noteworthy part. He had been involved with the movement from an early age. With the Midlothian Yeomanry, he had risen to become company sergeant-major, and with his move to Helensburgh, he was soon commissioned as an officer. As captain, he commanded the Helensburgh Artillery at the notorious ‘Wet Review’ of 1881. Around 1883, the Company had a new and custom-built drill hall at Lomond Street which still stands. On his retirement from the Company around 1887, he was made an honorary major. 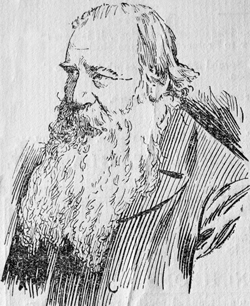 However Dr Messer is best remembered, not for his medical or military roles, but rather for the case of his disappearing coach and coachman at Rhu in 1886, and the linking of his name to the pair of Mesopotamian Devils which leer from the rooftop of his former home in William Street across to St Michael's Church. Another Helensburgh man who commanded the Helensburgh Company was John McFarlane of the well-known grain merchants family. In 1878, his father, Robert McFarlane, replaced Lachlan McLachlan as long-time lessee of Malig (or Millig) Mill, and later John took over the family business, including the lease of the Mill. McFarlane was a very active and entrepreneurial businessman. As well as dealing in grain and milling, he carried on a carting business. He had a controlling interest in Tarbet Hotel, and through his influence, the building was comprehensively reconstructed and transformed. He owned or leased the Old Granary, a landmark feature on the seafront thought to date from the early 19thcentury. Over time, the building outlived its original function and was used as a public house and a joiner's shop, but McFarlane's innovative approach saw it also hosting the first public garage in Helensburgh, and the pioneering Gareloch Motor Service, launched in 1906. Never regarded as a thing of beauty, the Granary eventually fell into disuse, being demolished in 1928. A restaurant was then built on the site for McFarlane, the architect being John Ballantyne of Glasgow. This was demolished in 1980. Not even McFarlane's flair was enough to save Malig Mill. Even though steam power was introduced in 1862, and despite the presence of a miller until the purchase by the Town Council in 1922, the mill struggled to survive for some time because of competition from big urban mills. Had the Mill been a thriving concern, it seems hard to believe that the lease would have been bought out by the Council merely to be incorporated in a public park. McFarlane received £200 in compensation for buildings and plant. Also active in public life, McFarlane served for several years on Helensburgh Town Council, and was for long a county councillor representing Cardross, where he made his home for many years. He was commissioned in the local Artillery Volunteers in 1891, had risen to captain by 1896, and by the early years of the 20thcentury had become major in charge of what was by then No.4 Company. This was a period of momentous change. In 1899, the Renfrewshire and Dumbartonshire Artillery Volunteers were reconstituted as part of the Royal Garrison Artillery. In 1908, the entire Volunteer Movement was re-formed as part of the new Territorial Force. In 1909, the Renfrewshire and Dumbartonshire Artillery units were designated the Clyde RGA. The effect of all these changes was to align the Volunteers more closely with the Regular Army. Another important event during this period was the construction of Portkil Fort in 1900-2, with the Helensburgh and Dumbarton RGA Companies forming the basis of the garrison, complementing Fort Matilda and Ardhallow Fort elsewhere on the Clyde. Remembered to this day as great friends and benefactors of Helensburgh are members of the Anderson family, the Anderson Trust Local Collection and the Templeton Library being two of their gifts. Several of them featured prominently with the Artillery Volunteers. William Anderson, who had a silk business in Glasgow, and his wife, Annie Templeton, made their home in Helensburgh. By 1880, and possibly before, he was serving as lieutenant under Captain Messer. By the end of the decade, he had risen to become captain in command of the Dumbarton Artillery, a double company. The pinnacle of his military career came in 1892-94, when, as lieutenant-colonel, he was officer in command of the Renfrewshire and Dumbartonshire Artillery Volunteers. After that his involvement with the Volunteers lessened because of other commitments — he served as Provost of Helensburgh from 1898-1902. Two sons, John and Kenneth, served as officers with the Helensburgh Company. Existing records tend to focus on the officers, but a 1910 summer camp to Carlingnose, in Fife, provides a glimpse of some of the other people serving as well. The Helensburgh Company was led by Captain J.G.Buchanan, with John Anderson as Lieutenant. The camp was a ten-day training course, with those present acquitting themselves with distinction. With a target representing a cruiser moving at 15 knots, and a distance of 4,000 yards, the Company managed 18 hits out of 20, the misses being by a whisker. The Deployment was: Capt Buchanan, battery commander; Lt J.G.Anderson, gun group commander; Company Sgt Major Rodger, assistant battery commander; Sgt Major Sprent, function unspecified but present throughout; Sgt Laver and Corp Ward, gun captains; Bombardiers J.Michie, J.McCormack, W.Condie, and Gunners J.McPhie and F.Crimmon, gun layers; Acting Bombardier. T.Lowrie, range finder and electric dial numbers. Promotions: Sgt A.L.Laver to be Company Sgt Major; Corp. J.Laver to be Sgt; Bombardier J.Michie to be Corp; Acting Bombardier W.Condie to be Bombardier; Gunners T.Lowrie and McCormack to be Acting Bombardiers. With the outbreak of war in 1914, the world of the Artillery Volunteers was turned upside down, as it was for everyone. The Volunteer Movement now came under full military protocols. As just one small instance of this, out went the attractive dark blue uniforms previously worn, to be replaced by standard khaki wear. While the manning of static defences, such as Portkil Fort, would have been a priority, many in the Clyde RGA were keen to volunteer for Foreign Service. As well as being highly trained, those in the Clyde RGA needed to be both mentally and physically fit, qualities which viewed as ideal for the battlefield. The result was that Helensburgh and other Companies soon became depleted. Portkil Fort alone required a complement of around four officers and 80-90 other ranks. More RGA volunteers were sought to replace those going abroad, but many of those in turn stepped forward for overseas service. In the case of the Helensburgh RGA Company, there was created a first line force and second line force, in an attempt to buffer the take-up for Foreign Service. In 1915, the Second Line Company was commanded by Capt John Anderson, with brother Kenneth as Lieutenant. 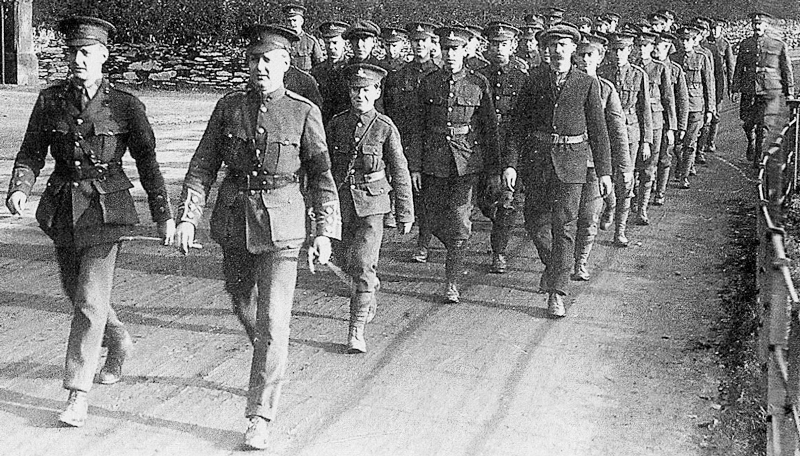 Still the attrition continued, and it became increasingly difficult to obtain RGA replacements, a situation possibly exacerbated by the introduction of conscription in January 1916. By August 1916, the War Office was stressing the urgent necessity of finding suitable candidates for commissions in both the Regular and Territorial forces. Recruitment was carried out at centres such as the Artillery Drill Hall at Lomond Street, where applicants for the Helensburgh Company were being sought from places as far afield as Kirkintilloch and Lenzie. Despite the fluidity of the situation, life had to go on for those based at places like Portkil, and there are several interesting reports from those dark days. It seems that one practice was to indulge in sea-bathing when off-duty, but this could be a hazardous activity. In November 1914, Lord Inverclyde presented certificates awarded by the Royal Humane Society to Bombardier Davidson and Gunner Murphy of Portkil Fort for their heroism in rescuing from drowning a stricken fellow-soldier, who suffered cramp when swimming offshore. The Garrison was not forgotten at Christmas — a letter to the press was sent from Portkil in January 1915 by Major John Rogerson, on behalf of the officers and men of the Dunbartonshire Companies of Clyde RGA, thanking the ladies of the County for their kindness in sending gifts. Major change was coming. In 1915-16, a protective boom was laid across the Clyde, stretching from Cloch Point, Gourock, to Dunoon. At a stroke, the focus on static defences of the Clyde shifted down river to fortifications at Cloch Point, and Ardhallow, on the Dunoon side. Some of the most powerful guns were taken from Portkil and Fort Matilda and redeployed elsewhere. There must have been a knock-on effect for those based at places like Portkil, set against a background of insatiable demand for men on the Western Front. Many Clyde RGA men did go abroad. Tracing their subsequent military careers is not easy, as they were often assigned, then re-assigned, to different units. However several accounts give clues the fate of some. Gunner Peter Fraser kept a diary for some months, in which he reveals that the 286thSiege Battery, RGA, was formed at Kilcreggan on September 9 1916, from the Clyde RGA Territorials. The 286thformed part of the 77th (Mixed) Brigade, RGA. After intensive training on the South Coast, the Battery first saw action at Ypres on June 24 1917. Whilst those in the artillery might not have had to go ‘Over the Top’, as did the infantry, their job was dangerous — battery positions were key targets. Fraser's diary gives a blow by blow account of various horrors, revealing graphically the hell of Ypres. By the end of the Third Battle of Ypres in November 1917, the roll-call showed half of the 286thwere dead or missing. It would be many months before the numbers could be made up to strength and brought back into action. Although Fraser survived until the Armistice, he stopped keeping his diary. By the time fighting ceased, he had developed a profound disgust and disillusionment with the War. Another perspective comes from the account by James Lithgow, later Sir James, of the shipbuilding family. At the outbreak of war, he was the officer commanding the Clyde RGA company based at Fort Matilda. Before long, he was on the Continent with about half of his former company, now assigned to the 40thSiege Battery, part of the 34thHeavy Artillery Brigade. His account reveals their difficulties in even getting to the front line. He gained a reputation as one who cared deeply for his men, and he tried to safeguard them as much as possible. He used his deerstalking skills to ensure that the men had as much cover as possible. His shipbuilding knowledge was used to create camouflage for the guns, when not in use. Even though his own service at the front was notable, gaining a Military Cross and being promoted to Lt Colonel, he became resentful of his role, and felt that his services would be better employed in shipbuilding. This wish was granted in 1917, and he was appointed Director of Merchant Shipping, his brief being to achieve production targets. However he retained his link with the Territorials after the War.